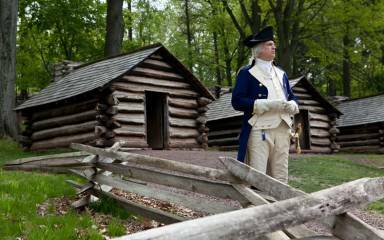 Many know Valley Forge from the history books, but the park is also a destination for outdoor enthusiasts. Valley Forge Park is home to more than 20 miles of interconnected trails for hiking, biking, and horseback riding. 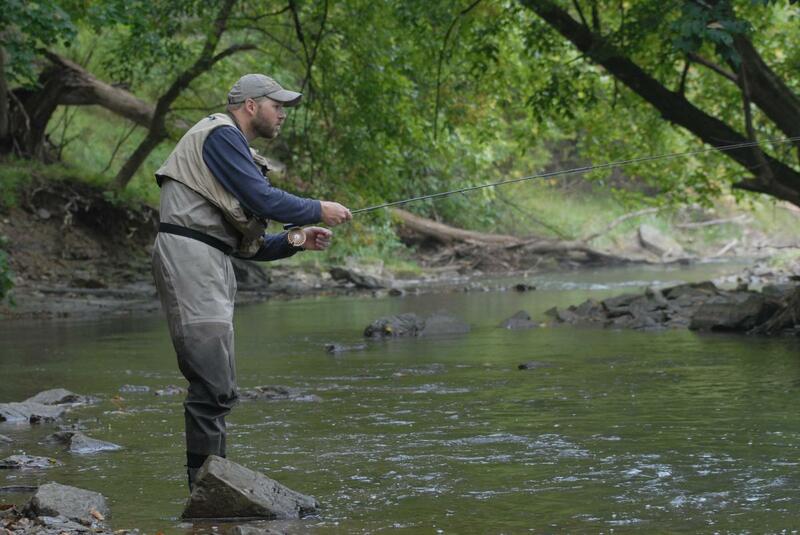 Valley Creek offers some of the best fishing in Montco. Nearly 28 miles of authorized trails traverse Valley Forge National Historical Park, offering a multitude of opportunities for hikers and runners to see and explore at their own pace. The 6.6-mile Joseph Plumb Martin trail passes many of the park's most iconic features. The River and Valley Creek trails are relatively flat for easy going while the Mount Joy and Mount Misery offer a hillier challenge. For long-distance hikers, the 140-mile Horseshoe trail begins near Washington's Headquarters and connects to the Appalachian trail north of Harrisburg. 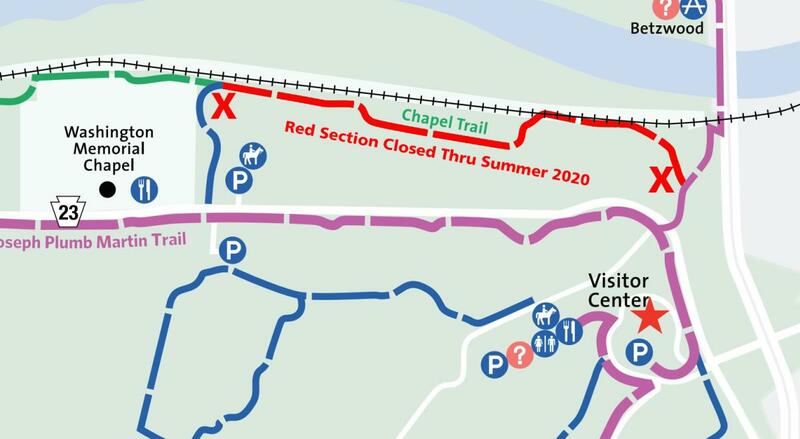 A short portion of the Chapel Trail, beginning 1/2 mile east of the Washington Memorial Chapel to the intersection with the Sullivan's Bridge Trail, will be closed through Summer 2020 because of a road construction project. As an alternative, visitors can use the Joseph Plumb Martin trail that parallels the approximate route of the Chapel Trail. Click the map for details of the closure area. With the Schulykill River and Valley Creek running through its center, Valley Forge National Historical Park is a haven for area fisherman. 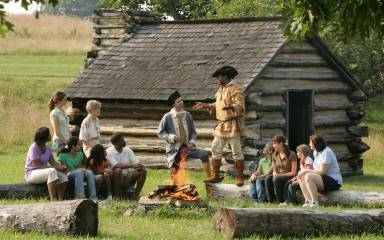 Valley Creek was once located along a colonial iron forge which contributed to the name of the area as well as the park. It&apos;s limestone deposits lend to the existing species of naturally breeding brown trout, suckers, dace and chubs. Though, due to the amount of industrial pollution the creek has accumulated, anglers should be aware that Valley Creek is a catch-and-release only stream. The Schulykill River offers even more variety with smallmouth bass, walleye, brown trout, catfish, sunfish and even some muskies. A Pennsylvania fishing license is required of all anglers 16 years of age and older. Please see the park&apos;s official fishing guide for full rules and regulations. 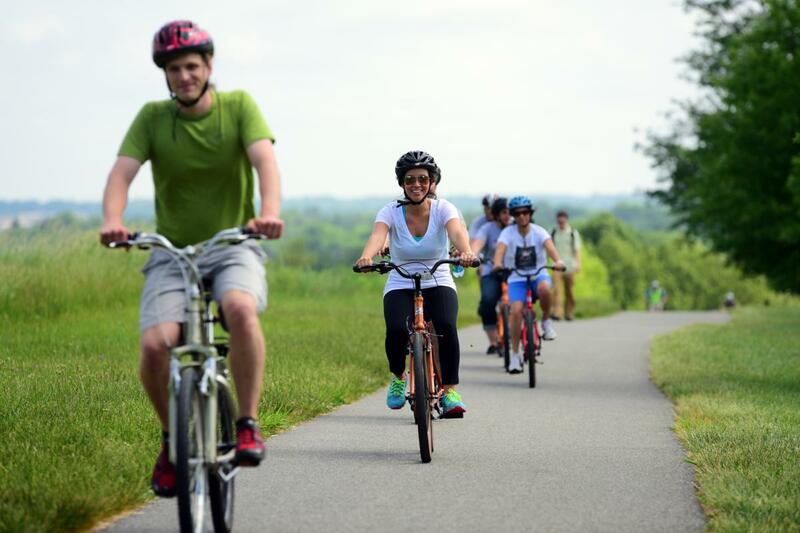 Valley Forge Park is home to 21 miles of biking trails. 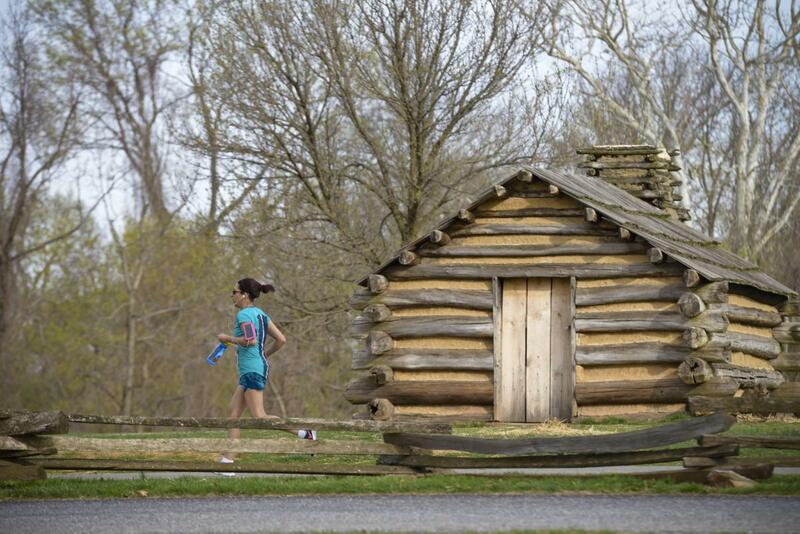 The eight-mile Joseph Plumb Martin Trail connects the Visitor Center to some of the park&apos;s most recognizable historic sites including the Muhlenberg Huts and U.S. National Memorial Arch. 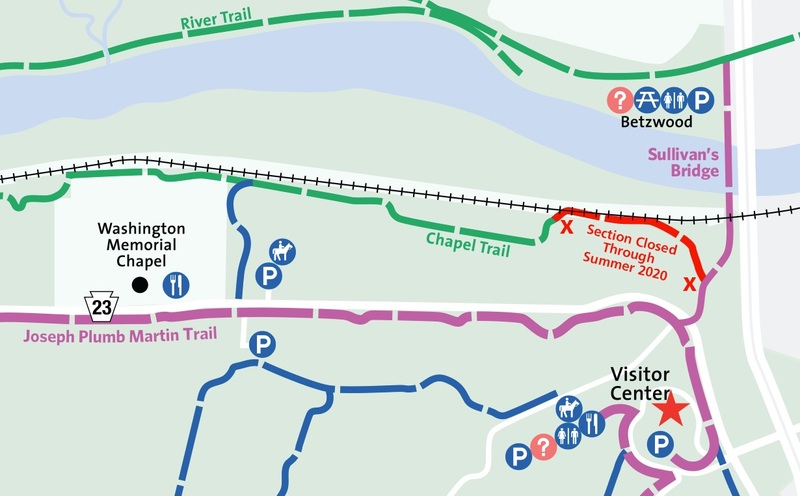 The Schuylkill River Trail, which runs through the northern half of the park at Betzwood Picnic Area, connects the park to Center City Philadelphia to the east and Phoenixville to the west. 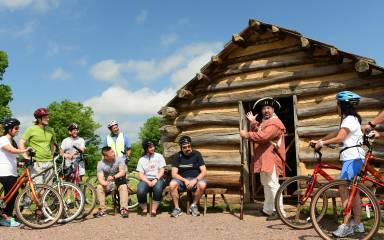 Visitors who may not be as confident in their navigation skills and are looking for some guidance can schedule private or public bike tours at the Encampment Store at Valley Forge Park. 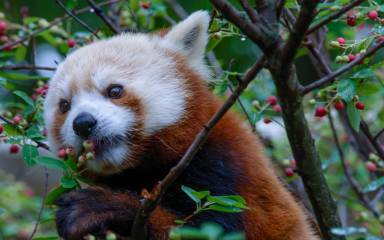 Bring a packed lunch and enjoy the peaceful surroundings at one of the park&apos;s three designated picnic areas. 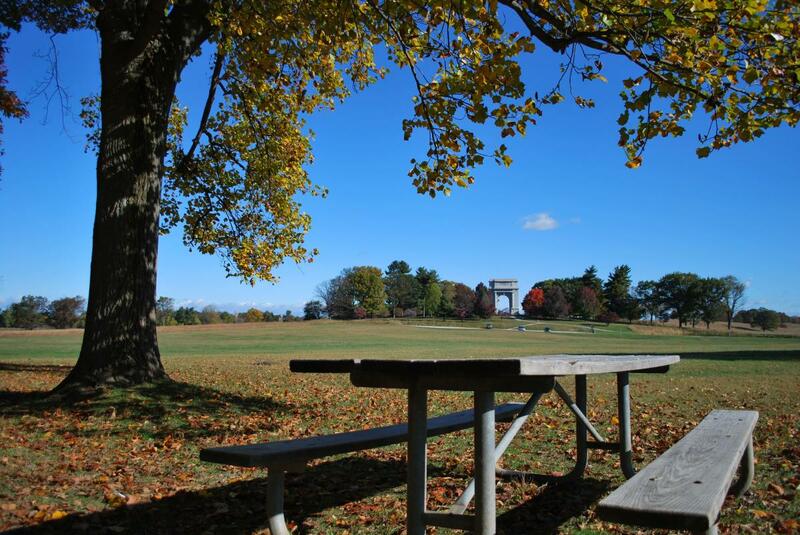 The Betzwood Picnic Area on the north side of the park has grills available to cook up a hot lunch. The U.S. National Memorial Arch provides a stunning backdrop at Wayne&apos;s Woods Picnic Area. If you forgot to pack your lunch, grab a bite to go at the Chapel Cabin Shop and enjoy your meal in the nearby Varnum&apos;s Picnic Area off Route 23. 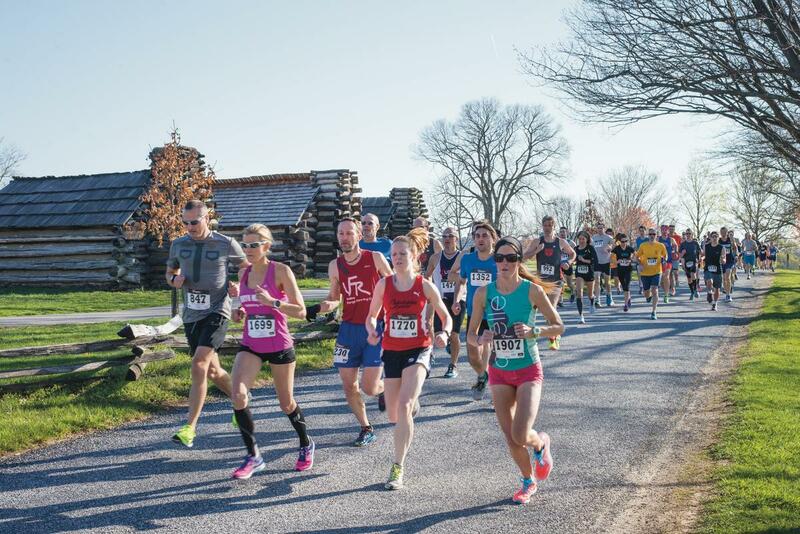 Each April, Valley Forge National Historical Park is the site of the Valley Forge Revolutionary 5-Mile Run®, or "Rev Run", a unique race that tests runners on the park&apos;s hilly terrain. The event also includes a 3-mile walk and a 1.776 kilometer (about 1 mile) Young Patriots Fun Run. 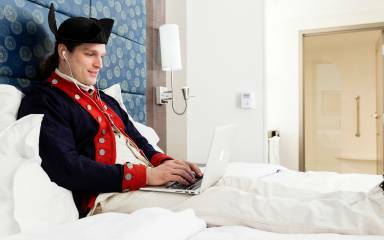 Additionally, all proceeds from the Rev Run benefit visitors services at the Valley Forge National Historical park.